A career in a university is fast-paced, challenging and exciting, with everyone working toward a greater mission. The atmosphere at institutions of higher education is vibrant and dynamic. With a career in Higher Education, you’ll be surrounded by leaders in their fields who are constantly developing new ideas — and excited students who are ready to learn and apply them. A career in Higher Education allows you to contribute your own ideas and expertise to this environment, supporting your institution’s mission to drive progress and change students’ lives through education. 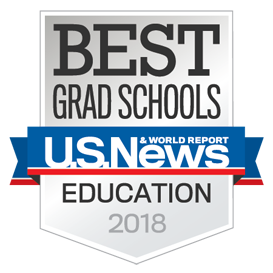 A graduate degree in Higher Education from the Curry School enables you to think critically about institutional priorities and commitments, ensure optimal functioning of administrative units, or to share your love of learning as a professor. The Center for the Study of Higher Education has been administering the Higher Education program at Curry since 1969. Here, you will have the opportunity to study in a long-term proven program and learn from our nationally renowned faculty. Higher education is a growing field. The need for post-secondary administration roles is expected to grow 9% by 2024 due to increased enrollments. Some of our M.Ed. graduates have moved into careers such as Assistant Director of Student Affairs, Director of Diversity Initiative, and Community Director at such prestigious learning institutions as the Darden School of Business, Dartmouth College, Loyola University of New Orleans, Stevens Institute of Technology, Virginia Tech, UVA and more. The primary purpose of the Ed.D. in Higher Education is to provide experienced and practicing educators with a broad and systematic understanding of higher education, a definitive knowledge of selected aspects of educational theory and practice, and an ability to apply research in an informed and critical manner to educational practice and problems. Earning a Ph.D. will ready you for careers in educational theory such as a researcher, professor, dean or other senior administrator. Curry’s 1-year program Master's degree in Higher Education prepares students for entry and mid-level positions at the college or university level. You can take a broader approach to this degree’s coursework, or select a specialization in administration, student affairs or intercollegiate athletic administration. This is a 1 year full-time program, or also offered part-time. The purpose of Curry’s Ed.D. in Higher Education program is to provide experienced and practicing educators with the knowledge and opportunity they need to apply research in an informed and critical manner to educational problems. Completion of this degree requires two to three years (57 credits) of academic study, plus capstone research worth 12 credits. If you already have a master’s degree, you can apply up to 24 of those credits to this doctoral program with approval. An on-Grounds, 20-hours-per-week internship or paid employment with supervision and training at a college or university is also mandatory. Curry’s Ph.D. in Education—Higher Education is the highest scholarly degree offered by the University of Virginia. Its purpose is to develop education thought leaders and scholars who are passionate about conducting original research that stretches beyond existing knowledge of post-secondary policy and practice. Completion of this degree requires two to three years (60 credits) of academic study, plus dissertation research. If you already have a master’s degree, you can apply up to 24 of those credits to this doctoral program with approval. An on-Grounds, 10-hours-per-week internship or paid employment with supervision and training at a college, university, or research facility is also mandatory.